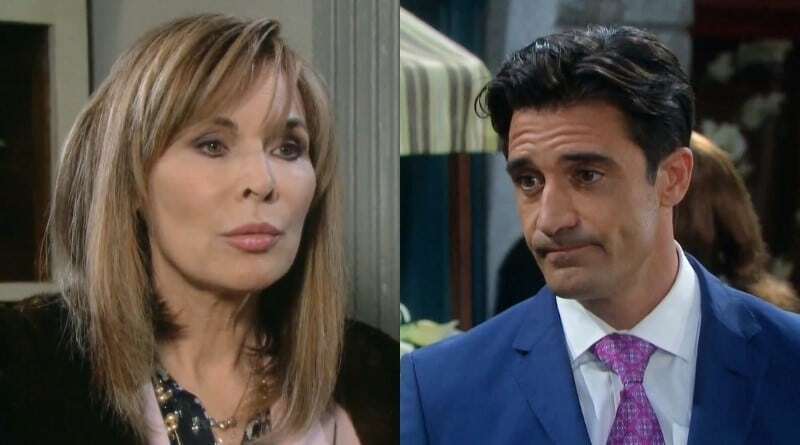 ‘Days of Our Lives’ Spoilers: Ted Wants Kate Back – Will She Give In? 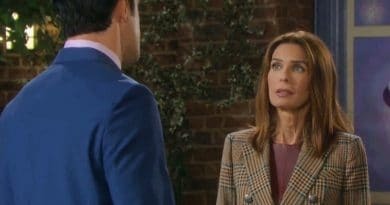 Days of Our Lives spoilers reveal that Ted Laurent (Gilles Marini) wants Kate Roberts (Lauren Koslow) back. Now that Ted is free from Stefan DiMera (Tyler Christopher), it looks like he may stay in Salem. But will she give in to what Ted wants? Now that Ted seems to be out of Stefan’s grasp, it looks like he’s setting his sights on spending more time in Salem. And that includes trying to win back Kate Roberts. However, she may want absolutely nothing to do with him. Days of Our Lives spoilers confirm that Ted reveals to Kate that he is alive and back in town. He also reveals that he’s interested in getting together with her again. Will Kate say yes? After all, the two had great chemistry, even when they hated each other. However, Ted has a ton of drama around him at the moment, though. While he seems to think that Stefan isn’t after him anymore, that could all change. However, his interest may signal that he’ll stick around for a little bit longer. It hasn’t been a great past few weeks or months for Kate on Days of Our Lives. She’s been blackmailed too many times and done too many misdeeds to her family and those that she swears she loves. Now, she’s on a bit of a road to forgiveness and redemption, it seems. When Kate was offered the CEO job at DiMera Enterprises, she turned it down. Instead, she wanted Chad DiMera (Billy Flynn) to get the job, which he ultimately did. She wronged Chad and Abigail Deveraux (Kate Mansi), and she’s trying to make it up to them somehow. She also paid a visit to Abby, something that the latter didn’t necessarily appreciate. After all, Kate lied and said she saw Abby in her alter “Gabby” wig. However, she told Abby that she would show that she just wants to help. Will she stick to her word and steer clear of her treacherous ways? Ted may not be the best choice for Kate on Days of Our Lives. 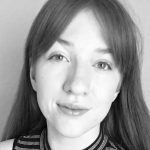 After all, if she’s trying to right her wrongs and regain the trust of her loved ones, shacking up with Ted may not be the best decision to make. She wronged more people in her life than just Chad and Abby, though. Leo Stark (Greg Rikaart) is currently making life hell for Sonny Kiriakis (Freddie Smith) and Will Horton (Chandler Massey). He once worked with Ted and Kate. So, things aren’t great between Will and his grandmother Kate at the moment. Because Leo revealed that Kate was behind his sexual harassment lawsuit against Sonny. Ted, on the other hand, blackmailed Will and Sonny. If Kate Roberts decides to take Ted back, how will she explain this to her grandson? If she wants to change for the better, getting back with Ted Laurent may not be a wise choice. Days of Our Lives Spoilers: Ted and Hope Brady More Than Friends? Kate isn’t the only woman in Ted’s orbit at the moment. Hope Brady (Kristian Alfonso) and he got quite close in the last month or two. The two banded together as they tried to put Ben Weston (Robert Scott Wilson) behind bars. While their plan ultimately failed, it looks like they created some sort of friendship. As Days of Our Lives spoilers previously have revealed, Ted and Hope’s friendship continues to flourish in the future. When Rafe Hernandez (Galen Gering) leaves town after Sami Brady (Alison Sweeney) calls for help, Hope leans on Ted for support. Rafe will be back, though, as Galen Gering is just taking a brief hiatus from DOOL. Ted and Hope could just stay friends. Or, they could become something more. If Kate Roberts denies Ted Laurent, does that mean Hope Brady will become his new romantic interest? Come on back over to Soap Dirt for all the latest Days of Our Lives spoilers and news.